May: and just returned from Louisville, my hometown, I can report that, for the moment, the weather is almost optimal for The Fastest Two Minutes in Sports (a mere 20% chance of rain). But, like the city itself, the race now is encrusted with all manner of civic barnacles. What was once perhaps a two-day affair (with the preceding day’s Kentucky Oaks) has succumbed to corporate bloat and now encompasses a full week of events – a “fifth season” as the poet Seamus Deane has it, in the piece below — though not so intriguing. Among the experiences one might indulge in this year – The Kickball Showdown, Derby of the Dead, the RoboRumble, the musical stylings of Sheila E., etc. Dispiriting – which sounds like the name of a filly out of Dismal Farms. So — enough. Let’s turn instead to our “secret poem,” the above-noted Seamus Deane’s MIGRATION, with an appreciation by Jake Crist. Co-ordinating the moment of foam. To be born in the word home. I believe all poetry is inescapably political because it is—at least predominantly at the moment—written by people. 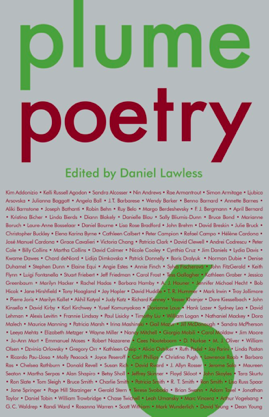 Any pretention to a view of a poem as, on the one hand, essentially private, or on the other as emotionally or authoritatively universal is precisely that: pretention. No matter the degree or depth of the personal impetus for a poem—the day-to-day affective triggers to composition—that impetus arises in a subjectivity immersed in and formed by a complex of relationships with others and the world. This creates, for every writer I suppose, the tension that gives their best work life. I’m drawn to Deane’s poem because I feel it offers a dramatic metaphorization of this tension. Migration—an inescapably political word—is not here sketched as a social issue of globalization, but an existential condition. I might even say, with that image of an ultramundane ‘fifth season’ or the interstitial ‘moment of foam’, that the poet is trying to elucidate a spiritual condition. This ‘someone’, this unspecified migrant, is one who has diligently sought to identify his cultural inheritance, his ‘nativities’, in order to migrate out of them. “If poetry has any enhancing powers for the poet,” Deane states in a 2002 published interview with John Brown, “they must surely include the belief that you must make the effort to break from what formed you, even though this itself is part of an almost predetermined formation.” I don’t read this as an endorsement for maturation viewed as a shedding of one’s provincial roots. Rather than one more iteration of a presumptious pseudo-cosmopolitanism, I think instead Deane’s poem describes a desire for generous native inventory; but this desire, encoded in the elusive idea of ‘home’, is held in tension with something like Augustine’s cor inquietum. The logic is one of natality, of restless gestation. Looking at the level of grammar, all the verbs are -ing verbs, present participles or the present continous tense. There is no stasis here. Finally, I think that once one cultivates this migrant spirit, the necessity for an emancipatory politics becomes alarmingly apparent. One becomes chafingly aware of what the sociologist Bryan S. Turner has called the ‘enclave society’, characterized by ‘a regime of immobility.’ From entrenched class stratification to online filter bubbles, the world seems to be all walls, enclosures, pens, billionaire bunkers, and socially enforced ghettos. One longs for a transformative agency; for a ‘someone’, maybe one’s own self, to migrate out of one’s Nativity (to borrow a Christian metaphor) on something like a liberating messianic movement. Seamus Deane was born in Derry in 1940. His poetry collections include Gradual Wars (Shannon, Irish University Press, 1972); Rumours (Dublin, The Dolmen Press, 1977); History Lessons (Dublin, The Gallery Press, 1983); and Selected Poems (The Gallery Press, 1988). His non-fiction includes Celtic Revivals: Essays in Modern Irish Literature 1880-1980 (London, Faber & Faber, 1985); A Short History of Irish Literature (London, Hutchinson, 1986/Indiana, University of Notre Dame, 1986); The French Enlightenment and Revolution in England 1798-1832 (Cambridge, Mass, Harvard University Press, 1988). He is General Editor of The Field Day Anthology of Irish Writing (Lawrence Hill, Derry, Field Day Publications/ London, Distributed by Faber & Faber, 1991-2002), and of the Critical Conditions: Field Day Essays & Monographs, including Foreign Affections: Essays on Edmund Burke. (Cork University Press/University of Notre Dame Press, 2005). His awards including the Æ Memorial Prize (1973) for Gradual Wars, and he was shortlisted for the Booker Prize and won the Irish Times Literary Award in 1997 for his novel Reading in the Dark (London, Jonathan Cape, 1996/ Maryland, Alfred a Knopf, 1997). A member of Aosdána, he lives in Dublin. Jake Crist currently lives in Columbus, Ohio, and has worked recently as a supervisor of a large homeless shelter and as a clinical chaplain. A recipient of a fellowship from the MacDowell Colony, his poems have appeared in Anglican Theological Review, Boulevard, Rattle, Shenandoah, and elsewhere. Wonderful, wonderful, as Mr. Welk would chirp. We are hard at work on a complete website redesign; more to come, but a completion date is on the horizon: September/October. From the early iterations I have seen, I think you’ll be pleased. Our cover art this month comes Julie Blackmon. Blackmon studied art education and photography at Southwest Missouri State University, then resumed life in her hometown as an artist, teacher, and mother of three kids. 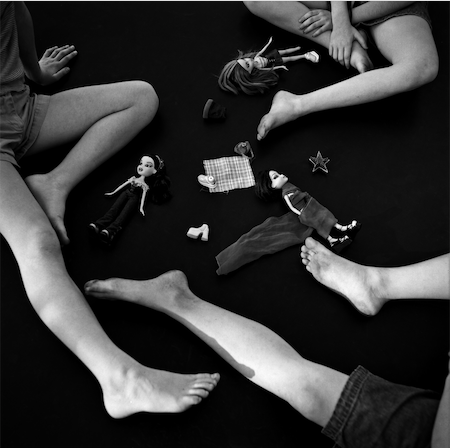 Her first major series, Mind Games (2004), explored childhood play through black-and white-photographs which, like play itself, focus equally on objects and imagination. The series won awards from the Santa Fe Center for Photography, Society of Contemporary Photography in Kansas City, Missouri, and Photospiva—and the world noticed. In 2007 she was included in PDN’s 30. She was American Photo’s Emerging Photographer of 2008. Now she has work on display at the Museum of Contemporary Photography and the Catherine Edelman Gallery in Chicago, the Robert Mann Gallery in New York, the Fahey Klein Gallery in Los Angeles, the Photographers Gallery in London, and Photoeye Gallery in Seattle. Her photographs have appeared in Time, The New Yorker, and The New York Times. She continues to live and work in Springfield, and she is A-OK with that. “I know I’m very much defined as the ‘family’ photographer, but I don’t think of it quite this way,” she says in an email. “I’m just looking around at my everyday life and, like any artist, trying to make sense of it.” It just so happens that family life is chock full of material to photograph, and, for many viewers, happens to also be pretty relatable. Find more of Ms. Blackmon’s work at her website.